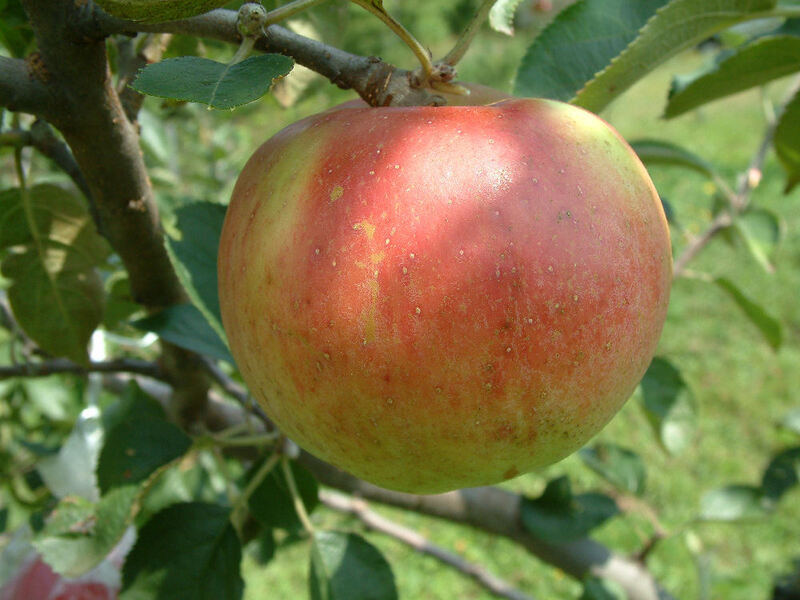 Belmont is an outstanding apple which might remind you of Cox’s Orange Pippin with its high quality flavor. 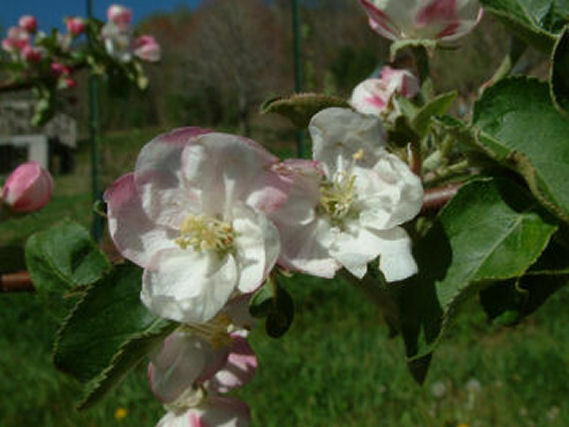 This attractive apple originated in the garden of a Mrs. Beam of Lancaster County, Pennsylvania and was eventually moved to Belmont County, Ohio, where it gained a well-deserved popularity. The fruit is medium to large in size, mostly round in shape. The skin is thick, smooth and waxen with a clear yellow background with a slight reddish-orange blush. The creamy yellow flesh is crisp, tender, juicy and subacid in flavor. Ripens late September to early October. trying to grow one of these here in MIssouri. Can you help me? I’m interested in purchasing Belmont Apple trees. My Grandmother was a Beam and so of course I would like to have her ancestors infamous apples. Do you have them? If so, when would I want to plant and will they grow well in mid Missouri? Thanks much for any help you can provide.